I interviewed David Mealey from Back 9 Dips for the Shark Tank Blog today. 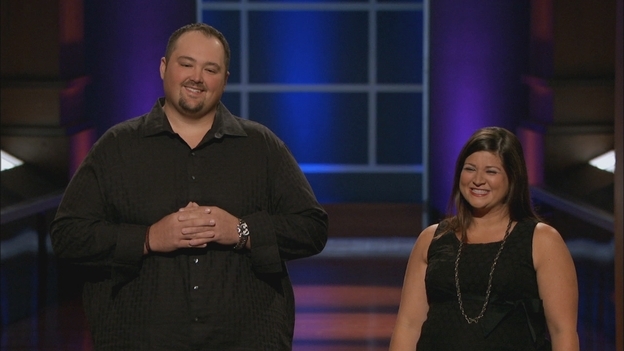 He appeared on Shark Tank last Friday and got a $150K investment for 25% of his company, which makes Bubba's Chicken Dip, from Lori Greiner and Robert Herjavec. Bubba's Chicken Dip can best be described as "a Buffalo Wing on a chip." As I do with every Shark Tank entrepreneur I interview, I asked David the Question: "Do you put ketchup on your hot dogs?" His answer: "I put Bubba's Chicken Dip on my hot dogs!" David went on to tell me he used to serve a deep fried hot dog when he was doing barbecue catering. He's a real hot dog aficionado. Originally from Cleveland, David told me his favorite hot dog joint is Steve's Hot Lunch, at 5004 Lorain Avenue. I will definitely check it out. Thanks for the tip, and don't forget to send some dip!